Due to an unparalleled commitment to providing outstanding customer service as a Realtor servicing Indianapolis, Carmel, Fishers, Brownsburg, Mooresville, Greenwood and surrounding Marion County areas, many satisfied real estate customers have submitted letters of thanks and some greatly appreciated reviews regarding my real estate services. Eric was wonderful! We looked at 16 houses with 3 kids and he was very accomodation & even gave all 3 kids their own packet of listings. It was a very educational experience for them. We were really impressed with Eric's knowledge of construction. We really felt he was looking out for our best interests. We would highly recommend him. Kim & Kevin Kelly. I want to express in writing -- "for the record," as they say -- my personal gratitude to you for the extraordinarily helpful work you did over more than a few months to enable Trinity Church to purchase the Robinson house. Your patient, personal touch was, I'm convinced, instrumental in allowing them to come around. Likewise, your clear explanation of the complicated requirements and details of the process was helpful to me in understanding where we were at every juncture of the negotiations. It has been a joy working with you every step of the way, Eric. Gratefully your, Thomas M Kryder-Reid, Rector, Trinity Episcopal Church. Dear Mr. Baiz, On behalf of the students and staff of Broad Ripple High School, we want to thank you for your generosly donating your time to talk with our students [during "Career Day"]. Our students need to hear about the "real world" and you have helped to give them a more realistic picture. Sincerely, BRHS Staff. Eric Baiz is a realtor for F.C. Tucker who tends to specialize in downtown Indianapolis. We used Eric to sell our condominium on Massachusetts Avenue in downtown Indianapolis. This is a hot neighborhood, so we wanted top dollar. Eric worked very hard, including open houses every week, until it sold quickly for slightly under asking price. I don’t think we would have gotten this level of effort from most Realtors. I would highly recommend him to anyone interested in selling their properly. Quick Response on this one. Eric Baiz was for 8 years the Board Secretary of the Mapleton-Fall Creek Development Corporation which is a not-for-profit community development corporation founded by 6 churches in the neighborhood below the State Fair Grounds. 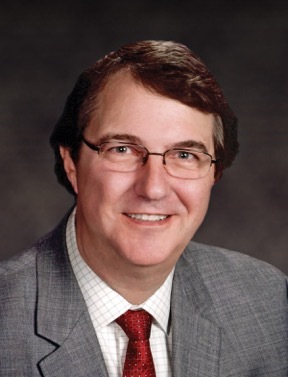 In the past he has served as a board member, he has served on numerous committees: Adopt-A-Block, Marketing, Economic Development, Alley Cleanup. He lead the Century Campaign and served on the Executive and the Finance/Ways & Means Committees. Currently, he is the Community Scribe -- taking minutes at all the Board and Executive Committee meetings. He also serves on the Housing Committee and on the board of Mapleton Properties for low income rentals. This is a very challenged neighborhood with major needs in the area of education, social service, family counseling, public safety, employment -- as well as the corporation’s focus on renting and rehabing housing for the poor. He chose to worship at Trinity Church (St. Richard's School) because of its strong mission in a needy neighborhood. He purchased a home in the neighborhood years ago and occasionally lists and sells a few home there, too. Dear Eric, It's truly hard to believe almost an entire year has come & gone already. I'm so glad to have met you and had you for my Realtor. You are one in a million. Once we get through the holidays, if you can find a free Saturday, we'd love to have you over. Peace & Joy! Dave Stratton & Mike Elliott. We have you to thank for our wonderful house. Eric, We are so pleased you were with us when our new home was blessed. We have you to thank, after all, for our wonderful house. Your talent, persistence and dedication made it all possible. Thank you doesn't seem enough to express our gratitude, but anything else pales in comparison. You will always have a place in our hearts and at our table. Thank you, dear friend. God bless and God speed. Steve Ulrey & Scott Howard. We've never seen better days. "Eric Baiz.... Realtor for Days"
He's friendly...efficient...and a lot of fun!! Jocelyn Coffee & Katie Weiss. Eric, Thank you for your support, professional and personal. You are a man with whom I am truly honored to know. Thanks for connecting with me. Stephen Reynolds, Esq. From LinkedIn: "Eric is a credit to realtors far and wide. His work with us in purchasing our home didn't stop at closing. Not only did he provide exceptional homes that fit our very diverse requirements, he stuck with us through filing tax exemptions over a month after closing. 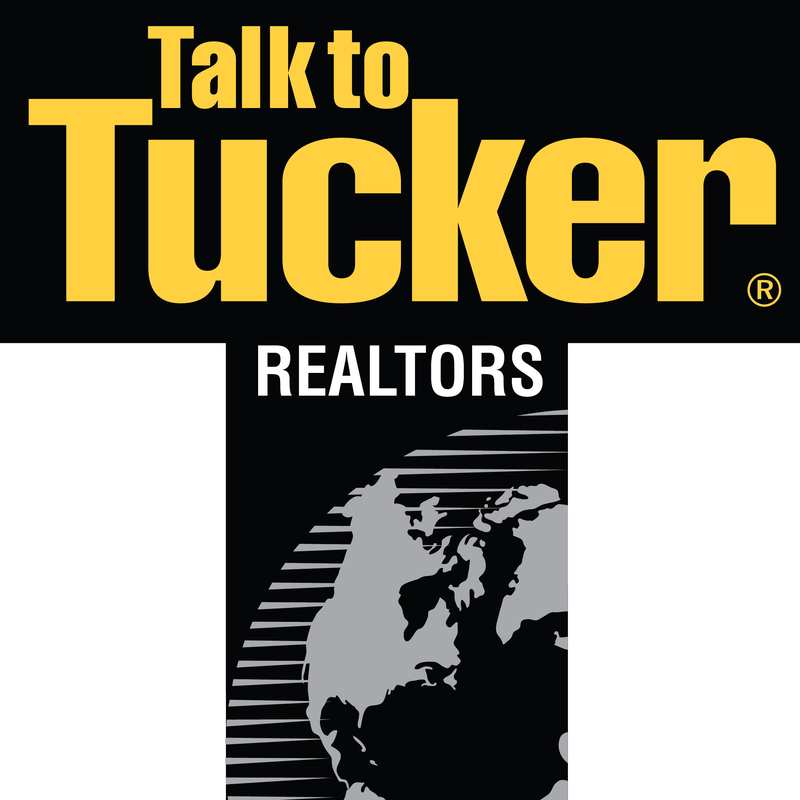 He was truly a joy to work with and I will recommend him to everyone looking to buy or sell a home." Service Category: Real Estate Agent . Year first hired: 2,008. Top Qualities: Great Results, Personable, Expert. By Jeffrey Embree. At the the April 15, 2010 25th anniversary awards luncheon of the not-for-profit Mapleton-Fall Creek Development Corporation, President and City Council Woman Jackie Nytes presented Eric Baiz with the 2010 "PARTNERSHIP AWARD". It is: "In Honor of Eric Baiz in Recognition of Outstanding Accomplishments and Dedicated Service to the Mapleton-Fall Creek Development Corporation". For 18 years Eric has served in many capacities: Board member, Secretary, Treasurer, President of the Reclamation Board subsidiary, housing committee, and executive committee. to. Wish there were more agents like you! Best of luck! Beth C-B. 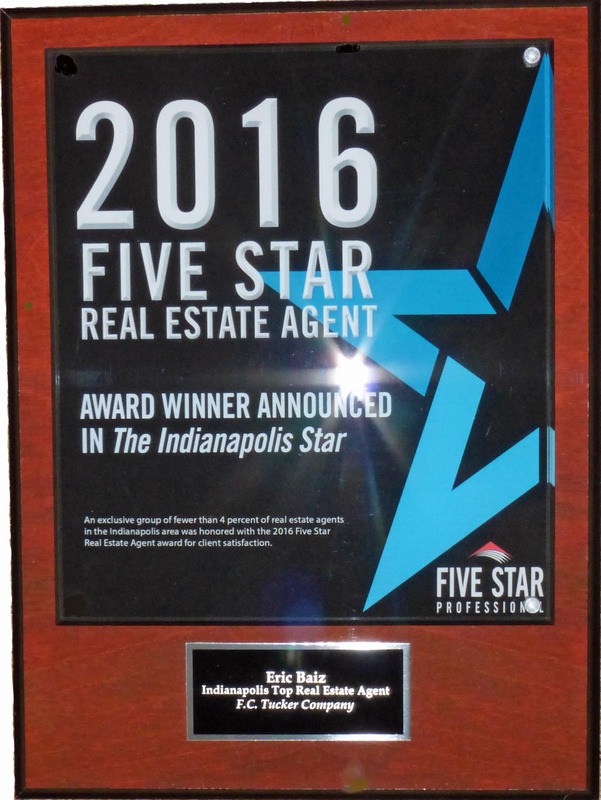 Awarded 2012+2013+2014+2015+2016 Star Real Estate Agent"
As published in the Indianapolis Monthly Magazine and now the Indianapolis STAR: Five Star Professional partnered with these respected publications to determine the Indianapolis area real estate agents who provide exceptional service and overall satisfaction.Agents were rated by integrity, communication, and customer service. No more than 7% of real estate agents are named a Five Star Real Estate Agent. The list is reviewed by a panel of industry experts before it is finalized. The research process incorporates a statistically valid sample. Good at what you do. Thanks to your "Know How"
I first met Eric Baiz at an open house that he was holding. Eric showed me around the entire property and answered all of my questions. He knew so many details about the house and neighborhood. Having already met a lot of Realtors, I felt that Eric would be the right person to help me find a home…and I was right. When touring houses for sale, we would first walk all around the outside and Eric would examine the foundation, drains, pipes, air conditioner, windows, siding, roof, etc., discussing it all as we went along. Then going inside, we would seek out the utilities as soon as possible. Eric sees everything that an inspector will and he explains it all, heating and cooling, plumbing, electrical, structure, etc. He is also an expert in historic houses. He knows how different factors will affect the house and how to keep it in good condition and even improve its value. Eric did not try to sell me on a home; he pointed out the good and the bad so, that I possessed all of the facts and a good perspective on the suitability of each house. This section is designed to give you some ideas as to the level of service as a Indianapolis Realtor that I provide. I service the communities of not only Indianapolis, but also Carmel, Fishers, Brownsburg, Mooresville, and Greenwood as well as Marion County, IN. Receiving thanks from clients who have had successful real estate purchases is largely due to the fact that I always assess the needs of my real estate clients and provide them with a level of service that is second to none. My real estate services as a Realtor extend to the areas of Indianapolis, Carmel, Fishers, Brownsburg, Mooresville, Greenwood and other areas here in Marion County, IN. In this site you find real estate and homes for sale in Indianapolis and all other Marion County areas which include Carmel, Fishers, Brownsburg, Mooresville, and Greenwood. There is no doubt that providing the ideal level of real estate service will mean that you will be able to meet all of your real estate objectives.